WHAT'S WARBURTON VALLEY ALL ABOUT? Over many years, the township of Warburton situated approx 65 km to the east of Melbourne CBD, has developed a deserved reputation for its beautiful, green environment and leisurely lifestyle. Warburton offers unsurpassed access to the crystal clear upper Yarra River by means of an excellent network of walking tracks and bridges – and a wealth of delightful picnic spots – while the township itself is blessed with a range of fine restaurants and fascinating shops. 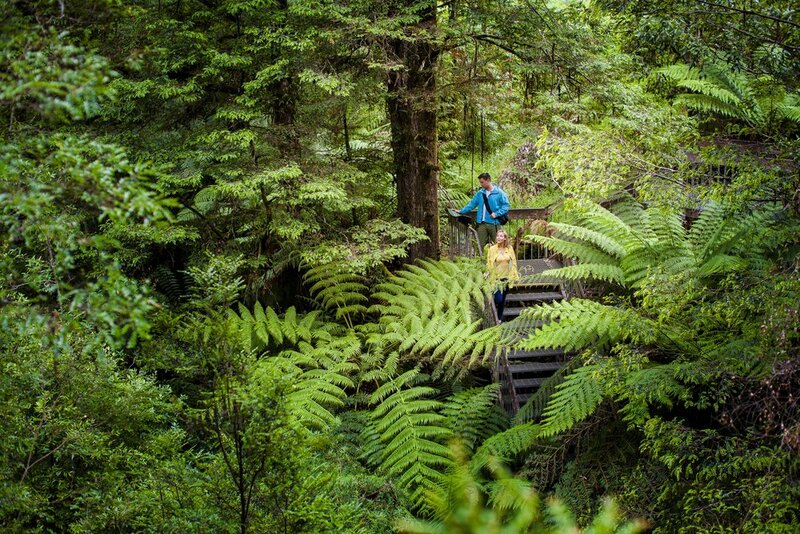 It is renowned for the Lilydale-Warburton Rail Trail (walking, running, horse riding and cycling), the picturesque Redwood forest, snow play at Mt Donna Buang, the stunning Rainforest Gallery and many excellent wineries nearby. With its large range of active community groups, the district continues to work together to achieve some amazing feats, including establishing one of the first Community Banks in Australia. During the Warburton Trail Fest, the town will also host a bunch of other interesting activities to explore - we suggest you pay a visit to the Visitor Information Centre - which is housed on the main street (it's the large Waterwheel on the high side - you can't miss it!). There you will find a small nature display, great for the kids to get an understanding of the wildlife and flora of the Valley. Plus there's usually an art exhibition on in the display hall there, often featuring local artists. Also, check out the listings at the Upper Yarra Arts Centre, across the road - there are often exhibitions there, film screenings and theatre productions. LEARN MORE ABOUT WHAT'S ON OFFER IN WARBURTON VALLEY HERE. Accommodation in the Warburton area can be heavily booked - especially during weekend events in the region. 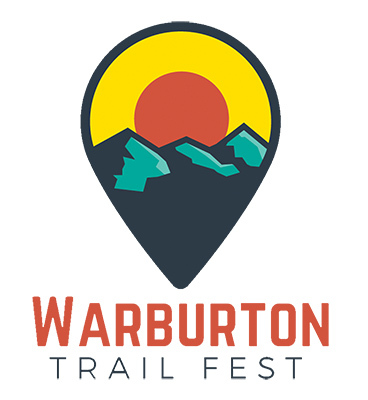 Discover, book and secure your accommodation during Warburton Trail Fest - Click Here. There is a major Holiday Park in town (although it gets booked a long way in advance!). There is no free / bush camping in town, but you can find campsites out at Big Pats Creek, approx 10 minute's drive further east of Warburton (and right beside where the 50km ultra run passes). There is also plenty of great camping and facilities out at the Upper Yarra Dam, which is approximately 20 minutes' drive further east on the Warburton Highway. BECOME A SALOMON TOP YOUNG GUN! WIN AT WARBY & JOIN THE TEAM!